A very useful, educative and well-planned event! Columbus is the capital and the largest city of Ohio in the United States. Columbus has a strong economy due to high-quality education and is also diverse due to its multi-faceted economy based on banking, fashion, insurance, research and technology. Also known as the "City of the future" it is important for young aspirants to be pursuing best of courses available in the field of technology for a progressive career. 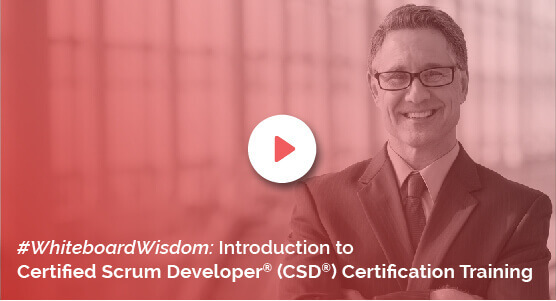 KnowledgeHut brings to you the Certified Scrum Developer certification in Columbus which is a very technical and career-oriented program aimed at helping aspirants gain this coveted certification. The CSD certification in Columbus is a comprehensive academy course led by industry expert tutors. The initial part of the training purely focuses on the subject like Scrum basics, principles, artifacts and ceremonies. Once the concepts about Scrum is clearly understood by the applicant, the latter part of the course focuses on demos and practice sessions on how to perform acceptance test-driven and behaviour-driven development. The CSD training in Columbus includes the nitty-gritty of the technical assessment and grasp of Scrum principles. Certified Scrum Developer training in Columbus helps you apply development practice just in time and avoid over-design. Not only do you get noteworthy credits upon successful completion of the course, you will be well-versed to effectively use your knowledge in the real world. The CSD course in Columbus is delivered using excellent trainers and study materials. At a very reasonable fee, the institute offers a wide array of features for every trainee. This is what makes it a win-win situation. Opt for KnowledgeHut to get that much-needed push your professional career needs.